More often than not, as a player, you have the tendency to overthink things. There is a lot of emotion in the game of baseball and it can be difficult to check those thoughts, especially if you are a pitcher. On Wednesday, against the Dodgers, Brad Wieck threw a scoreless inning in which he struck out two batters and retired the last on a soft liner to second. The left-handed pitcher is six-foot-nine and 250-plus pounds, and an intimidating presence on the mound. After the game on the field, Andy Green said this when I asked about Wieck. “He can’t be a fun at bat. Crossfire (delivery) with that size and the velocity that he has. He attacked today and that is what we want to see from him. He needs that go mentality because he has really good stuff. He can’t pitch to edges and will have to pitch up in the zone and trust that his stuff is good enough.” That was pretty self-explanatory from the manager. 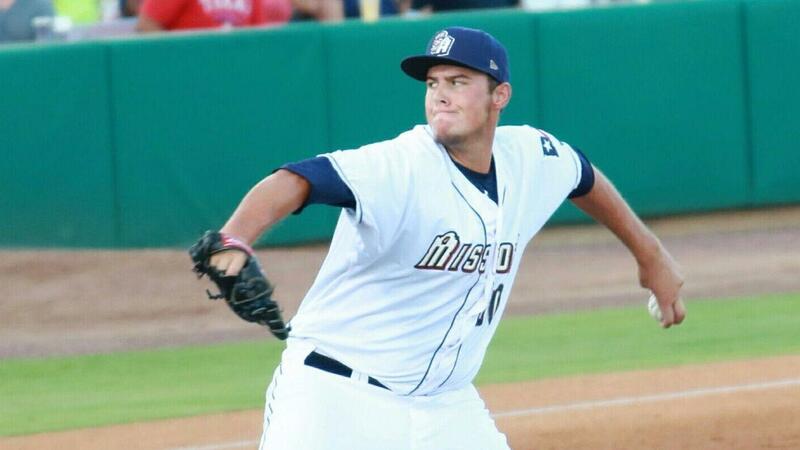 Wieck has a mid 90’s fastball and the Padres want him to challenge hitters with it. I went looking for Brad the next morning in the locker room and asked him about Andy’s comments. I wanted to see if they had been relaying that message to Wieck repetitively. “Yes. For sure. They want me to attack people over the plate with my best stuff instead of nibbling on the corners.” He had no problem in explaining that to me. “They think my stuff will play over the plate, so I am going to start attacking people.” Wieck will certainly do what the coaching staff asks of him. Despite being a huge-framed pitcher, he has displayed relatively decent control in his minor league career. That got away from him last year in El Paso where he walked 10 batters in seven innings pitched with the Chihuahuas. The Padres were not happy in the fact that he was trying to be too perfect with his pitches. I asked Brad if he made any mechanical adjustments to throw more strikes. “No mechanical adjustments were made. It wasn’t really a mechanical adjustment, more of a mental adjustment. 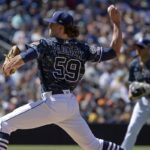 Instead of trying to hit the black on both side of the plate, throw it over the middle and challenge hitters.” He has the ability to throw strikes. Wieck just needed to change the mentality of trying to be too precise with each pitch, especially with two strikes. Our conversation turned towards the locker room and the feeling in this Padres’ clubhouse. I personally know how hard this journey has been for Brad, as I first interviewed him after he was acquired from the Mets. “It’s cool to be in the locker room with some of these big-named guys.” The tall lefty seems very comfortable in the room, and in speaking to him, I sense that he is reaching a point in baseball where the game is starting to slow down for him. We spoke about the young men in the room and the men in the locker room down the hall (minor league camp). The two of us talked about the feeling in camp and Brad had no problem communicating how excited he is about the future of this club. “It’s awesome. We have a young group of guys and we are all pretty hungry. It’s a grind, but we are all out here working together.” This unit works with each other well and has fun doing so. In closing with Brad, I asked about his mechanics and his repertoire. I was eager to see if he was working on any new pitches. “All my pitches feel fine. I am just trying to stay in time. Us tall guys have to have our levers all synced up mechanically with our motions. Things can get out of hand quick if you don’t stay focused.” Wieck is certainly focused, and with the confidence the coaching staff has shown in him, he has no problem at all in just firing it in there when he is on the mound. 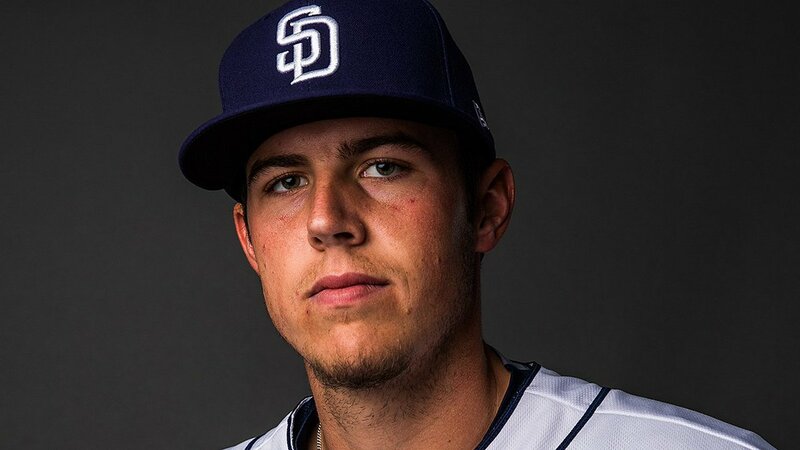 He has a great chance of making this team out of the spring, but even if he doesn’t make the squad in late March, you will surely be seeing him very soon at Petco Park. Previous Esteury Ruiz: The Next Big Thing?